Nootropic supplements are in the category of medicines that are called cognitive enhancers, and Provasil belongs to this group. Provasil is an all-natural nootropic formula by Cognetix Labs. This American manufacturer of health and wellness products has a range of cognitive therapeutic supplements for adults. The ingredients in Provasil tablets are a proprietary blend of nutrients that sharpen focus, improve mood and boost energy. In this formula are omega-3 fatty acids, antioxidants, amino acids, choline, vitamins, herbal extracts, and brain-boosting properties. More so, Provasil may boost thoughtful planning skills, visual and verbal short-term memory. Do you experience “brain fog” and forgetfulness? Naturally, the process of aging reduces the level of vital neurotransmitters that are linked with cognitive functions. Like other neuro-enhancing supplements, Provasil works by optimizing mental function. Apart from improving learning and memory, you can also take this medication when during mental stress. The Provasil ingredients have a history of use in Ayurvedic medicine and traditional Chinese. There will be insufficient energy in your neurons’ (brain cells) mitochondria if they are deficient of vitamins. The hippocampus also contains neurons that help to create new and spatial memories. Apart from memory, essential vitamins improve the efficiency of the brain’s portion that is linked with the thought process and word fluency. The immune-boosting vitamins and Resveratrol help to combat free radical agents that might attack neurons. Otherwise, these agents will trigger oxidative stress on cells and mental decline as we grow old. It’s also the free radical agents that cause brain inflammation and degraded cells. More so, folate and brain-vitamin deficiencies result in higher levels of homocysteine. In the Provasil formula, phospholipid helps to raise the production of acetylcholine that helps us memorize and learn. The phosphatidylserine in brain cell membranes regulates receptor action and the release of neurotransmitters. Also in this nootropic formula, the DHA fat is a vital part of brain cell membranes. This essential oil regulates the relay of signals by neurotransmitters and cellular communication. Provasil supplements optimize cognitive function while raising the brain’s acetylcholine levels. Stress impedes fast processing of thoughts and mental alertness. Extracts from Ginkgo biloba, L-thiamine, and L-tyrosine in Provasil tablets can calm your nerves. Usually, without stress, there’s better recall ability, the ease of learning and working memory. During the period of calm, blood flows properly to the brain and transport oxygen to cells. However, brain fatigue and mood swings may lead to an increase in stress levels and depression. So, the Provasil formula contains ingredients that will boost blood, and regulate the ‘feel-good’ hormones. A healthy mind is an asset for both young and old people. If you suffer from anxiety and stress-related lack of mental focus, the inclusion of L-tyrosine in Provasil will bring fast relief. Provasil tablets help optimize your neurochemistry by enriching the brain cells with amino acids, and essential fatty acids. There is a building block of protein in this formulation. 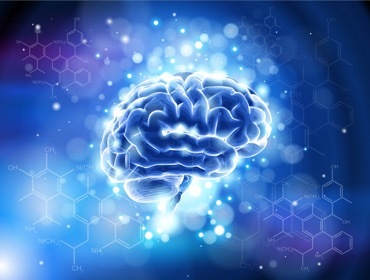 L-tyrosine is the amino acid your body needs to improve cognitive performance. Naturally, seniors might experience a decline in their cognitive performance, and develop age-related illnesses. Inflammations and degeneration of brain cells might even occur in adults when there’s no fortification with the right drugs. Dementia from aging brain cells and head injuries can affect the later phase of life. However, the use of brain-boosting supplements can reduce the risk of this occurrence. Also, certain deficiencies can trigger the low production or degeneration of neurotransmitters that aid the brain’s metabolism. Provasil tablets offer fast-relieving remedies by fighting invasive toxin and free radicals in the body. Naturally, brain cells will die without fortifying them against these invasive elements. So, it’s proper to supplement these vitamins and nutrients by consuming Provasil tablets. This special formula will boost the flow of blood, oxygen, nutrient, antioxidants, and vitamins to the grey matter. Why is the Provasil Formulation is More Effective? This vitamin contains antioxidants that prevent the oxidative stress of cells by combating free radical elements. Naturally, choline exists as a building block of the brain’s cell membranes. Choline Bitartrate in Provasil is a precursor for acetylcholine. The ingredient triggers concentration, alertness, numeric working memory, and spatial memory. Folate is responsible for processing assessed skills like quick thoughts, memory, and word fluency. So a deficiency of this Provasil ingredient might damage the hippocampus and raise your homocysteine levels. As one of the eight variants of vitamin B, Biotin consumption produces neurotransmitters (chemical messengers) and the central nervous system. The brain-boosting vitamin also improves mood and memory. Like folate, vitamin B12 eases difficulties in mental concentration with old people. Provasil supplementation helps to curb cognitive problems that may arise from vitamin B12 deficiency. Naturally, this vitamin occurs in poultry products and regulates your homocysteine levels. The compound is an amino acid that crosses the blood-brain barrier to produce raise acetylcholine. N-acetyl-L-carnitine also contains antioxidants that prevent oxidative-stress causing free radical agents from attacking brain cells. In Provasil, this ingredient improves memory recall, long-term memory formation, and reasoning. Naturally, phosphatidylserine exists in the brain’s cell membranes. The compound controls the release of neurotransmitters, synapse and receptor action. It’s common to find seniors with age-related cognitive decline; so, phosphatidylserine helps them to recall information. The extracts of Ginkgo leaf contains active antioxidants that improve blood supply to the brain. When under pressure, the herbal extracts trigger cognitive flexibility, increases attention span and memory recall of verbal and visual information. The brain cell membrane structure is rich in this omega-3 fatty acid (DHA), and it supports cellular communication. A deficiency of DHA will cause age-related cognitive declines. Other ingredients in the Provasil formulation includes Resveratrol, Panax Ginseng Root, Bacopa Monnieri, Phosphatidylcholine, and L-glutamine. The Provasil medication is sold in bottles of 60 tablets. You can purchase the supplement from the product’s website. According to the product label, Provasil requires the consumption of between 1 to 2 capsules with meals in morning and afternoon. However, you shouldn’t exceed the recommended dosage because it can trigger unpleasant reactions. When you choose to place Provasil order from the product’s website, they are offered at different packages and prices. Provasil is a top supplement for improving memory. The formula contains a blend of cognitive function complex extracts and nutrients. This product is in a class of Nootropics (smart drugs) and can be used to supplement brain-vitamin deficiencies. According to the manufacturer, the medication is stimulant-free and safe for consumption. However, there might be contraindications with the use of other drugs. It’s proper to consult your doctor before using this product. Other herbal supplements give the same level of for cognitive performance if you are not satisfied with this product. What Are The Advantages of Using Tanning Peptide?